4 Double Bedrooms, 3 Bathrooms, Sleeps 8. 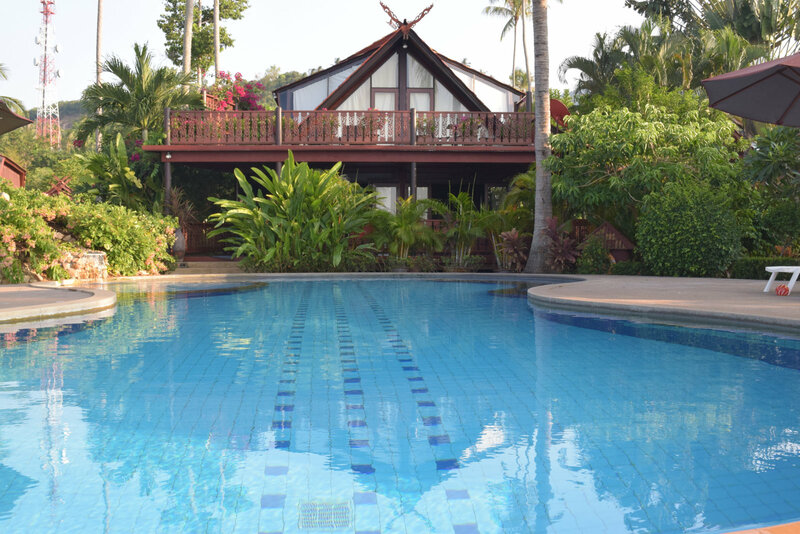 Stunning Thai style Teak Beachside Villa 20 metres from the White Sand unspoiled beach. Ground floor 1 Double Queen size Bedroom and Bathroom, Lounge/Kitchen/Dining Area with a built in Modern Kitchen. The kitchen has an Oven, Hob, Microwave, Coffee Machine, Toaster, Rice Cooker and ample Cooking Utensils, Crockery, Glassware and Cutlery. 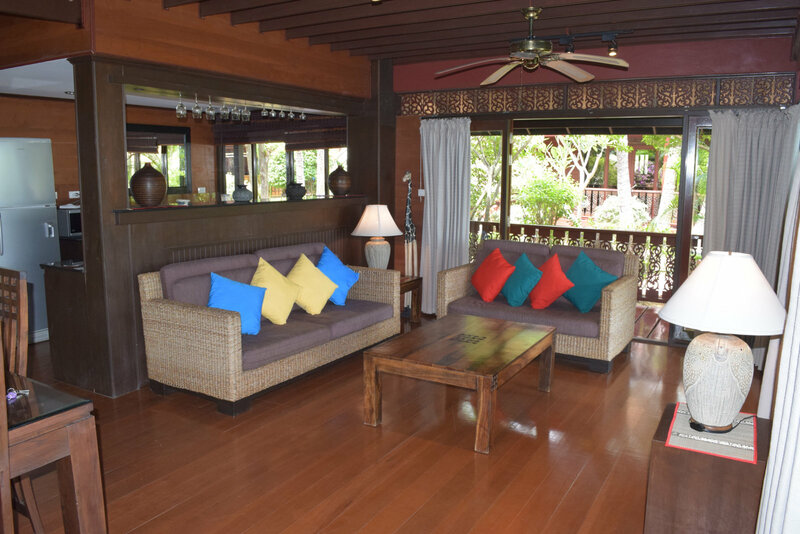 Outside is a spacious covered Terrace with roof fans, with amazing views over the communal pool to Koh Phangan. Ideal to enjoy your evening cocktail or just relax. The First floor has 2 Double Queen size Bedrooms and a Master Double Bedroom leading out onto the upper Terrace. All the Bedrooms are fitted with Air Conditioning and Roof Fans. 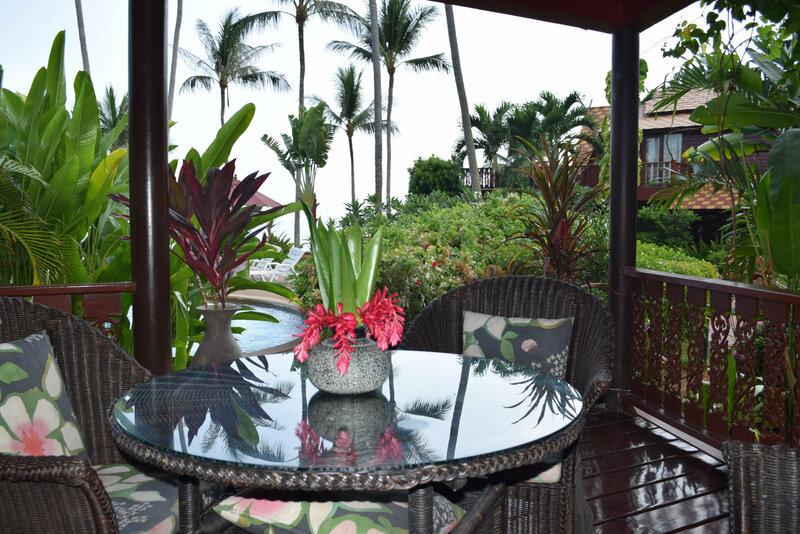 The views are spectacular from all around the Villa. 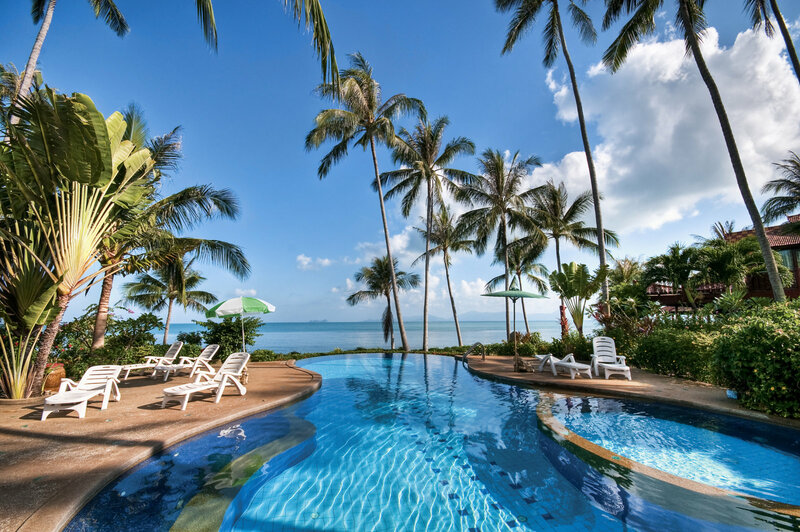 The complex has a large Communal Pool and there are many local Bars and Restaurants within walking distance.